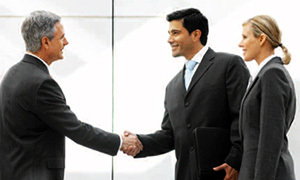 Cincom is the leading provider of commercial Smalltalk in the world. Who Works with Cincom Smalltalk? Cincom is the largest commercial provider of Smalltalk in the world, with twice as many partners and customers than all other commercial providers combined. JP Morgan Chase is a leading financial services firm serving capital markets throughout the world. With assets of $1.1 trillion and a component of the Dow Jones Industrial Average, capabilities include investment banking, research, private equities, investment management, private banking, and treasury and security services. If you would like to try our software, it is free for you to use personally for evaluation purposes, but does require a form to be filled out. Want to take your business to the next level? Here's your chance to rev up your business and get the benefits of partnership. Cincom would like to make our Smalltalk customers aware of the support status of our products. In general, the current release of a product is supported as per the License Agreement and Schedule of Products that you have. If you are a supported customer, please check your monthly resolutions newsletter for updates on patches and new VMs. If you are a supported customer and aren’t receiving the newsletter, send a request to Kimberly Thomas. Visit Cincom SupportWeb® for immediate support. Visit Cincom Resolutions Portal to access the Resolutions Portal. Email Kimberly Thomas if you are having a problem with SupportWeb or the Support Resolutions application. 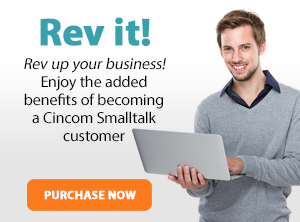 Contact Suzanne Fortman for business questions about Cincom Smalltalk™. Contact Arden Thomas for questions about the Product Roadmap. 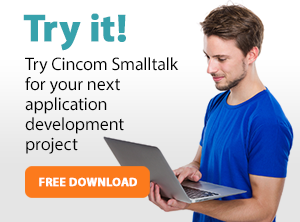 Contact Jeremy Jordan to share a story regarding how you use Cincom Smalltalk.